Strictly star AJ Pritchard has told how his brother “saved his life” and risked his own dancing career by throwing himself in front of a pack of nightclub attackers. Curtis, 22, who is a professional dancer on Ireland’s Dancing With The Stars, was left unconscious in the “unprovoked” attack and requires surgery on his knee. His Strictly star sibling, 24, was left with bruises on his face, arms, body and legs. AJ told The Sun: “Curtis risked his own dancing career to save mine as he threw himself in front of the attackers so they couldn’t get to me. “He was thinking of both my dancing career with my legs and my TV career with my face. Curtis, who has been forced to pull out of Dancing With The Stars’ upcoming run, said the incident on the dance floor of the Nakatcha nightclub in Nantwich, Cheshire, “could have been fatal” and may spell the end of his career. AJ and partner Lauren Steadman finished fifth in the BBC One favourite and the brothers had been enjoying a family Christmas at home in Stoke-on-Trent, the paper said. They headed out in Nantwich on December 27 with two friends and wound up at the nightclub, where they had been “lots” of times and knew the staff. AJ said they felt it was a safe place for them to go and they took to the dance floor with a group of people. He told the paper the pair were then set upon by “about eight blokes” and were punched and kicked “from all angles”. Curtis said he saw four men go for his brother and tried to put himself between AJ and the blows. After suffering several punches to the face Curtis fell to the floor unconscious, the Strictly star told the paper. AJ said he had to drag his younger brother away from danger as the nightclub’s security moved in to break up the melee. His T-shirt was left covered in his brother’s blood – Curtis had suffered injuries to his shins, nose, lips and face – including an eye that was swollen shut. Curtis said he knew something was wrong with his leg when he was unable to put pressure on it as he tried to walk. AJ said that his father had been left in tears by the incident, while a statement released by the Pritchard family on Sunday said statements about the “unprovoked attack” had been given to Cheshire Police. The force told the paper a 20-year-old man had been arrested and released under investigation. 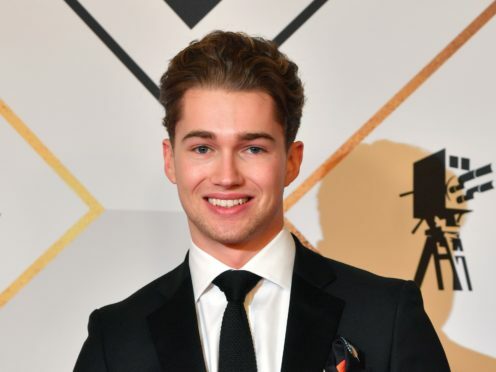 Dancing with the Stars pro-dancer Curtis Pritchard was involved in an incident on 26 December 2018. As a result of the injuries sustained, he will not have recovered in time for the launch of the new series, which will air 6 January 2019. Paralympian triathlete Steadman said she hoped her dance partner “will get his smile back soon” and wished the brothers a speedy recovery in an Instagram post. AJ’s co-stars also sent messages of support to the pair. Dancing With The Stars Ireland confirmed Curtis will not have recovered from his injuries in time for the new series of the show, which is due to begin on January 6. A statement from the show on Twitter said: “Dancing with the Stars wish Curtis a speedy recovery. Dancing with the Stars wish Curtis a speedy recovery. A replacement for Curtis on the show is currently being arranged by ShinAwiL and we look forward to welcoming Curtis back when he recovers.